Question: Can you elaborate a little more on your gooble ad stategies? Answer: As for as this ad above goes. It more of a "Can I get you to open the email strategie" And it seems to work well. People read that subject harder and open the email. Read the add and click on the link to see where it leads. And bingo my job was done. LOL! Question: What is covered in the book you have pictured above? 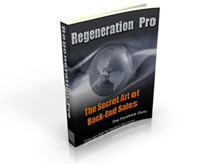 Answer: This special report I put together in on a little sneaky tactic called back-end sales. You use it on your thank you page. Once someone orders from you there is another offer on the thank you page for them to check out. If they just bought from you, chances are they will take you up on your second offers as well. Can you elaborate a little more on your gooble ad stategies? What is covered in the book you have pictured above?